There are many ways to get traffic to Websites or Blogs. Methods such as article marketing, forum marketing, pay-per-click advertising, social networking, blogging, and social bookmarking all work very well. 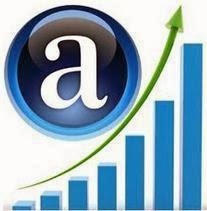 But in the world of Internet Marketing, there are also traffic techniques that you should avoid, for various reasons. 1. First, do not ever pay for traffic from a site that promises you a great deal of traffic in a short amount of time. The traffic that you get will not be targeted, and will be of no use to you at all. The same applies to traffic exchange sites. In fact, many of these sites are scam sites, and the traffic that you get will actually be automated traffic, not real traffic. Pay-per-click advertising, or PPC as it is known, is not the same as these sites that promise traffic for a fee. Go to Google and do a search for “buy website traffic” and make sure NOT to buy from any of those, because this is useless traffic that in the end will get you banned! 2. Do not spend hours, or even use automated software to submit your site to free classified ad sites or free for all link sites. This only results in lots of spam for you. It does not result in traffic. 3. Don’t use pop ups. People hate these, and most people now have software installed that keeps pop ups from popping. Avoid other irritating elements on your site as well, such as blinking text and music, and colors that clash. Your visitors will hit the back button in one second flat! 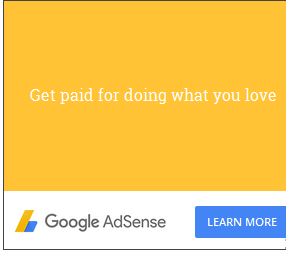 Besides popups are against the Adsense TOS. 4. Don’t use false statements or exaggerated statements in your advertising. This may get you visitors, but it will irritate them, and they won’t click on links. Instead, they will either close the browser, or hit the back button. You may not be selling anything, but this is false advertisement none-the-less, and it makes people very angry. 1. The biggest is doing nothing at all. You can build a site, but if you don’t advertise it in anyway, you are not going to get a drop of traffic. 2. The second biggest mistake is not tracking your advertising. If you don’t know what works, and what doesn’t, you will be wasting time and possibly money. Track all of your advertisements to see where your traffic comes from, and where it doesn’t come from. In the end, you will be happy that you did. These other outdated methods simply do not work. They are not worth your time, effort, or money. You need to know where the traffic comes from, and you also need to know how well your ads are performing. You may have a great amount of traffic, but very few clicks. It’s important to track the traffic and the ad performance, so you know what to fix! Overall, that’s most of all the things that you need to avoid. Other than that, you need to make sure that you are using proven site promotion techniques.